Wayne Elliott Engineering was established by Wayne Elliott four years ago to meet what he felt was a market for Refuse Body Parts, Passenger lifts (mobility) and Water (Pumps-Drainage). The progressive company is committed to innovation and the latest technology to continue to deliver quality products to their ever expanding list of satisfied customers. Under the guidance of Managing Director Wayne Elliott, the ever burgeoning company boasts an impressive track record of both quality and continuous growth in the market. “I saw a market for refuse vehicle parts and repairs and decided to go for it,”explained Wayne who started out as an apprentice mechanic with CIE and Bus Eireann back in 1994. As already mentioned, there are three strings to Wayne Elliott Engineering Ltd's bow and Wayne is proud of the reputation which the fledgling company has built up in just four years since it was established in 2012. Wayne Elliott Engineering Ltd acts as a stable for some of the top names in their respective markets. Their waste section is a supplier of waste collection equipment parts (80% Ireland) and technical support, supplying mechanical, electrical and pneumatics parts. They carry over 4,000 parts on the shelf and run a mobile van which travels nationwide, covering the 32 counties on a weekly run. They are also distributor for VSA Bodies (www.vanschijndel.eu) who specialise in the design and manufacture of high quality refuse collection bodies and bin lifts. Their Passenger lift section covers all aspects of wheelchair lifts servicing and repairs and they were appointed distributor for Mariani (www.marianilift.com) lifts in January this year. Mariani Lifts's products provide an excellent solution for the construction of special vehicles such as ambulances, disabled transportation vehicles, commercial vehicles, buses, minibuses, taxis, etc .., for both public and private use. All these devices facilitate access and transport in total safety and comfort. Meath native Wayne offers independence at affordable prices for their mobility customers and have contracts with many city and nationwide companies and mobility individuals. Finally, to their Water (Pumps-Drainage) division and they are the warranty agent for Selwood pumps who are recognised as a leading water pump specialist in Europe (www.selwoodpumps.com). They service and carry out preventable maintenance on these units around the country for Selwood UK. From their Montpelier Hill base, Wayne Elliott Engineering keep on the shelf and ready to despatch a range of parts for Otto, Terberg, Geesink, Norba, Faun, Heil, Farid, Zoeller and various other bin lift equipped vehicles. 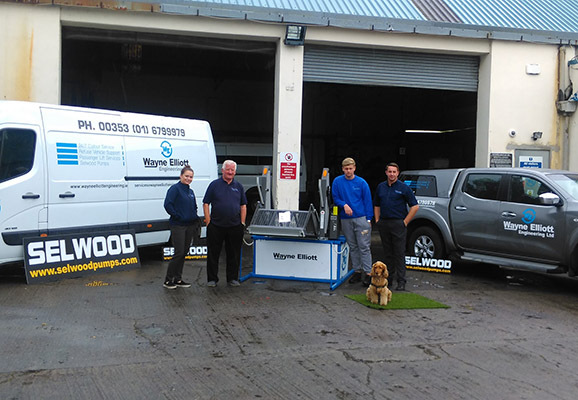 Wayne and his staff of five employees have over 15 years’experience within the waste collection equipment industry having worked for various manufacturers. They offer a secure workshop, which is 2,500 sq ft in size, where repairs, either minor or extensive, can be carried out. The services they provide range from technical repair to planned maintenance to suit their customers' needs. When it comes to their passenger tail lift service and repairs offering, Wayne Elliott Engineering provide full technical support, passenger and tail lifts, full reconditioning of lifts, all repairs, parts service and all major manufacturers are covered. Wayne & Co provides a unique 24-hour call-out nationwide and they pride themselves on their quick response time and adaptability to suiting customers repairs and preventable maintenance. “Customer and client transportation comes first,”Wayne added. 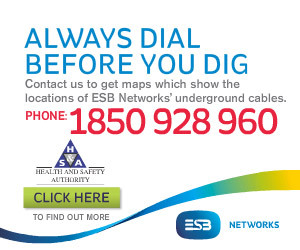 “Our rates are flexible and we offer value for money. We're realistic to the times that are out there and due to family circumstances, I understand the mobility market and the issues that are out there. Wayne Elliott Engineering Ltd's focus on superb customer care and attention to detail has allowed them to establish a firm foothold in their respective markets. Once they have been given an opportunity, they grasp it with both hands, and as a result, have built strong relationships with each and every one of their clients. Their highly experienced, friendly and dedicated team can assist you with any of your refuse vehicle support, passenger lift and water requirements and their relationships with their customers are characterised by a hands on approach. Looking ahead of the future, Wayne concluded: “These are three strong growing areas of commerce in the Irish economy that I believe will continue to help our company prosper.